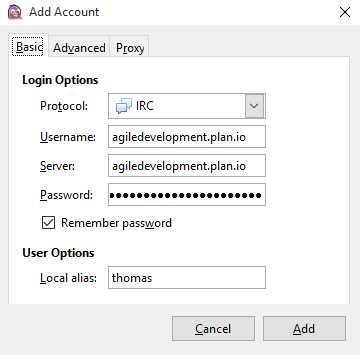 Pidgin is a free IRC client for Windows, which you can use for Planio team chat on your desktop. 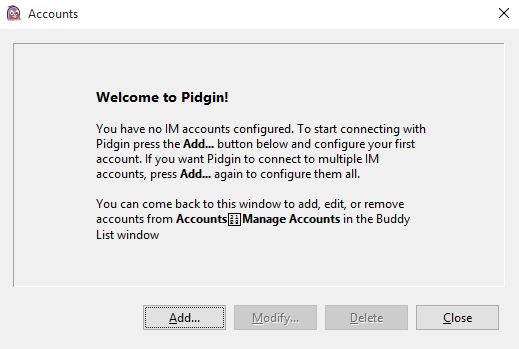 Download and install Pidgin for Windows. Click on the Add button on the welcome screen to add a new account. 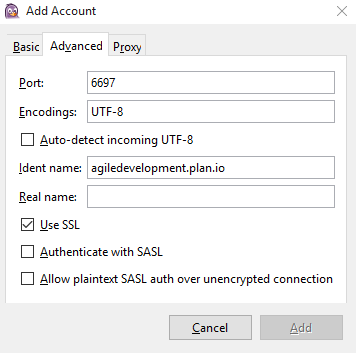 Click on 'Add' and you'll be automatically connected to the project chatroom.